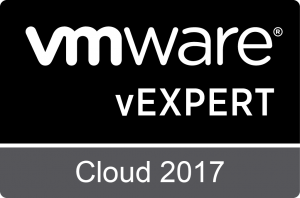 As a VCI, I have to ensure that I stay up to date with the current VMware technologies, and there's a lot of them. In the past, when I've delivered a course I've told my delegates that they have to renew their certifications every two years. That has now changed, the following is taken from Karl Childs Blog article, linked if you wish to read more. "The recertification policy of a two-year upgrade was in place to help you maintain that relevancy through upgraded certifications and up-to-date skills. Recertification is important enough to create policies around, but we’ve heard your feedback and we are making a change. 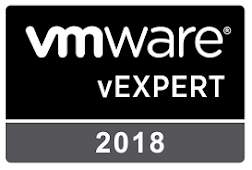 We want the VMware certification program to match the needs of each candidate and allow the flexibility to do what best supports individual and organizational needs. So, effective immediately, the mandatory recertification requirement will be removed from all current certifications. We want you to upgrade and recertify when it’s important or viable for you." However, for myself as a VCI, I still have to re certify every two years, but that's the job.